I'm not saying that dad sneakers are completely obliterated, but I've noticed that they've been fading out. In general, athleisure dressing isn't as popular as it used to be, and the fashion world has collectively made a shift toward more classic and polished aesthetics. Enter the shoe trend I'm dubbing "grandma heels." I mean, what could be more classic than a heel style that's timeless enough to translate across three generations of fashion? Despite whatever shoe style your grandmother actually favors, I think you know what I'm getting at here—that all the low block heels bubbling up this spring are reminiscent of the kind you'd expect a wise and stylish older woman to wear. What are the defining qualities of the low-block-heel trend I'm starting to see? Sensible heel heights and designs that embody the classic style of my own 95-year-old grandmother. It's not just fashion insiders who are favoring this trend, either. I've spotted Kate Middleton swapping out her skinny stilettos in place of podiatrist-approved block heels on multiple occasions. And once the royals pick up on a trend, you know the rest of the world will take notice. It doesn't get any more classic than Chanel's slingbacks. These will go with everything but will also stand out. 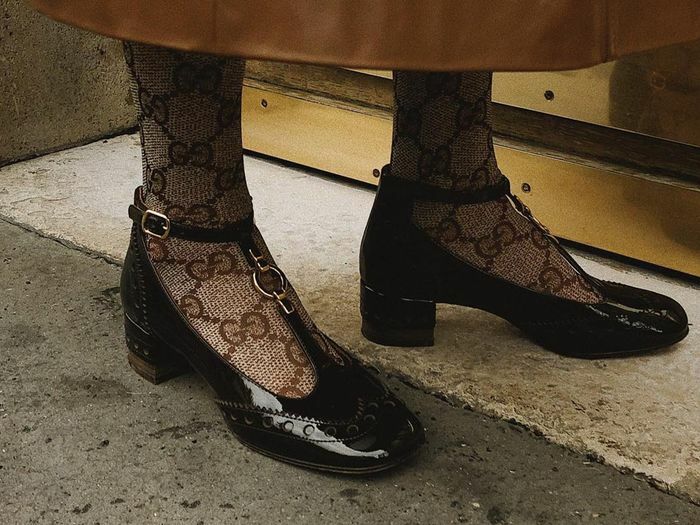 Gucci basically invented modern-day grandma dressing. Somewhere in Paris, a chic French girl is wearing this style. Our editors are freaking out about how good this color is. Buzzy It brand By Far always nails it. These are currently sitting in my cart. The 2019 way to do the see-through trend. We never say no to a good mock-croc moment. You'll wear these to death. Promise. Next, why this fashion "mistake" is cool again thanks to the Old Céline.